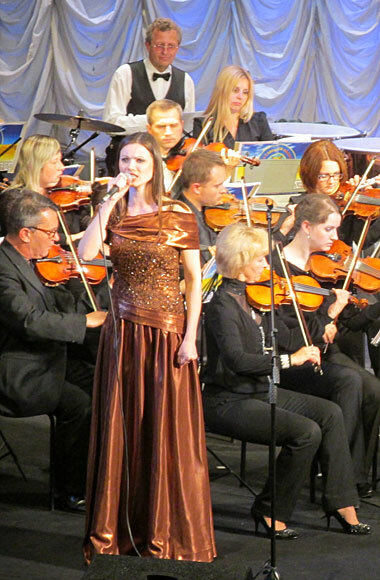 The concert where works of Poltava and Luhansk composers were performed, took place within the artistic action “Ukraine is United Country”. 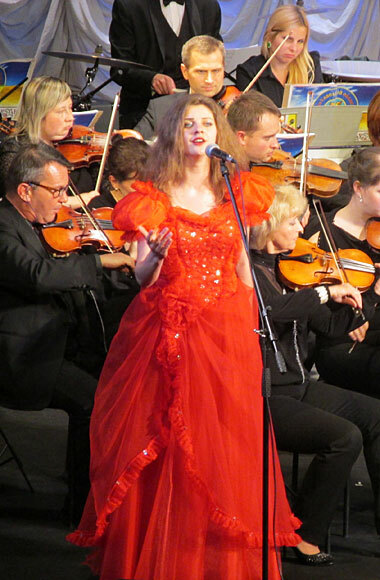 The event was held in the Poltava Regional Gogol Theater. 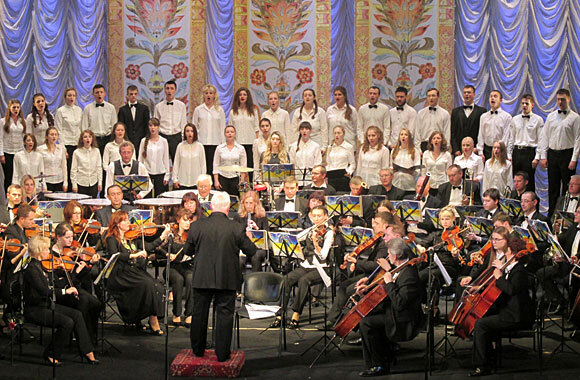 Performance of the concert program was held with the participation of the Symphony Orchestra and soloists of the Poltava Regional Theater, as well as teachers and students of the Institute of Culture and Arts of Luhansk Taras Shevchenko National University. 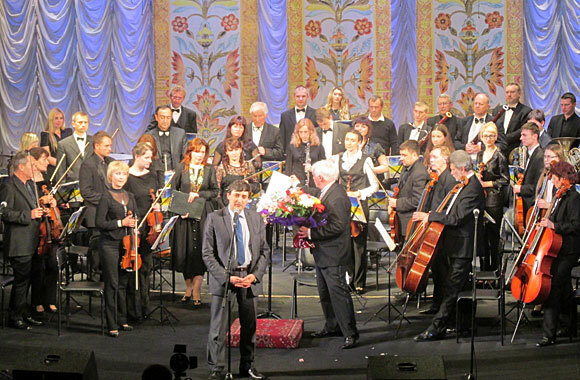 The concert was presented to the symphonic suite “Ancient Kyiv fresco” by Doctor of Arts, Professor, Honored Artist of Ukraine, member of the Composers’ Union of Ukraine, head of the Department of Musical Art of the Institute of Culture and Arts Andriy Stashevsky. This work is connected with the musical intonation of the national archaic, rich colorful emotions – from joy sensuous lyricism to the harsh grandeur and solemn, triumphant hill. 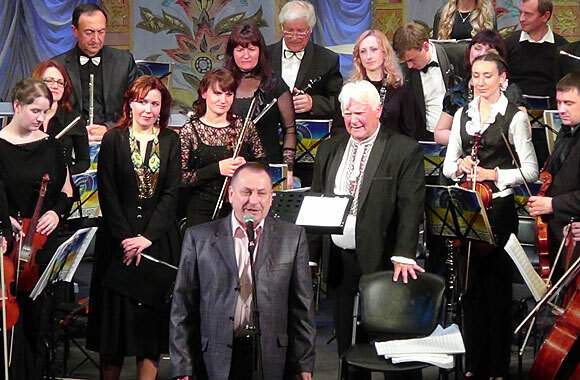 The presentation of the composer’s art of Luhansk region was extended by the symphonic picture “Vechornytsi”, whose author is a lecturer of the Department of Musical Arts, a member of the Composers’ Union of Ukraine Konstyantyn Krepak. 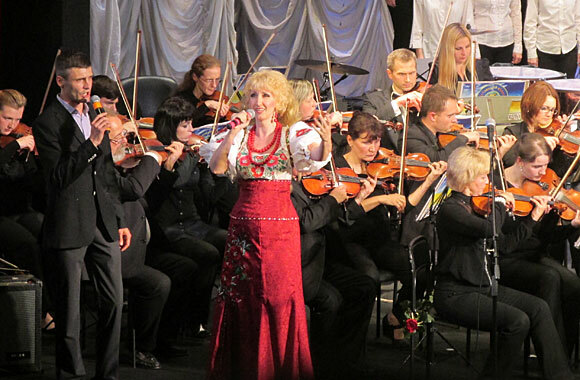 The basic idea of his work – sketches of the national traditions of the Ukrainian people, its dances, songs and humor. 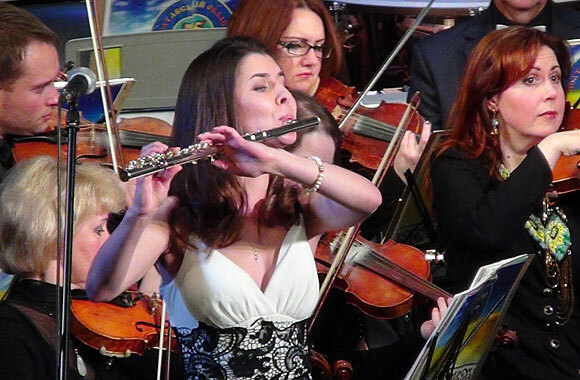 The teachers of the Institute of Culture and Arts among which were People’s Artist of Ukraine Yuri Kyrychenko, Victoria Yagodka and Alina Filipyuk, as well as students Artyom Zakharov, Angelika Kroshko and Darya Tretyakova (flute) performed solos. 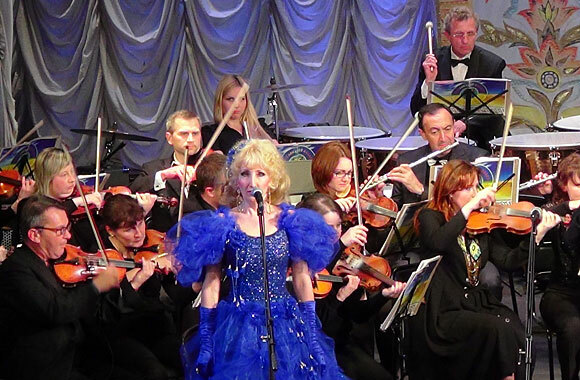 Hereby the apotheosis of the concert was the work of a composer of Poltava – People’s Artist of Ukraine, conductor of the Symphony Orchestra of the Poltava Regional Gogol Theatre, lecturer of the musical art of the Institute of Culture and Arts Vitaly Skakun “My Ukraine”. 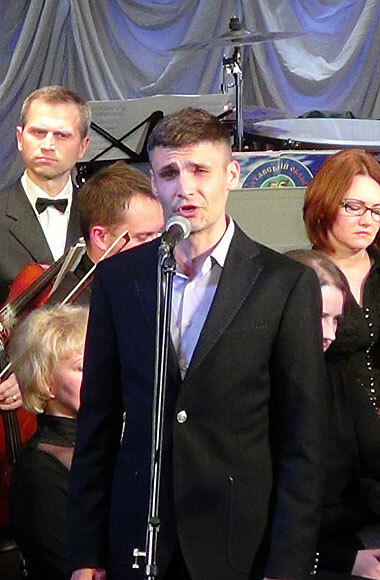 The mixed chorus of students of the Institute of Culture and Arts and soloists Victoria Yagodka and Artyom Zakharov performed this work.